Diving on the wall of the Turks and Caicos barrier reef. Grand Turk is a great dive destination. The wall is found not far off the west coast of the island, so boat rides out are brief. Barrel sponges on the wall. Grand Turk is spectacular dive destination, with some of the finest barrier reef and wall sites in the tropical Atlantic. Much of the tourism to Grand Turk today are cruise ship guests, yet before the Grand Turk Cruise Center was in operation, the island primarily supported a dive-centric tourism industry for true enthusiasts. Grand Turk offers the best scuba diving of any of the Caribbean cruise ports visited on the typical cruise routes that depart from the eastern United States. As is the case with most of the dive sites in the Turks and Caicos, the excellent diving at Grand Turk is characterized by wall sites. The Turks and Caicos is situated on a shallow underwater plateau, and the transitions from the sandy ocean bottoms on top the plateau (usually 40-50ft or 12-15m), to the very deep water off it (where it can quickly reach depths of over 7000ft or 2100m) are often quite abrupt, and at some sites is a sheer drop. The transitional zones from bay to wall is fascinating as well, and much of this edge supports a barrier reef network. Reef architecture is amazing, with features such as canyons, arches, sand chutes, overhangs and swim-throughs. 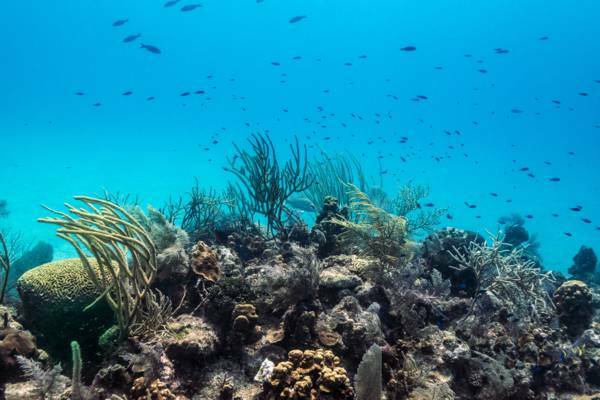 As is common in the Turks and Caicos, spur and grove reef patterns are quite distinct, and essentially act as natural barriers to erosion. Underwater visibility is another consideration, and the clarity at Grand Turk is excellent. The Turks Islands group is rather small and there are no shallows, rivers or runoff to cloud the ocean and increase turbidity. The walls surrounding the Turks and Caicos each offer a different atmosphere. Grand Turk tends to support large densities of fish, sea creatures and coral, French Cay offers sharks, and West Caicos Marine National Park and Northwest Point feature dramatic edges and marine topography. 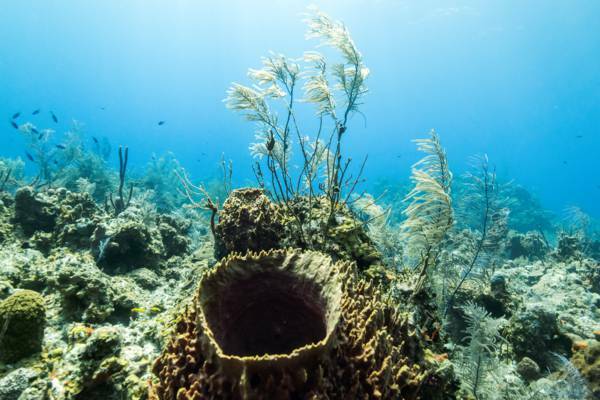 The variety of corals is incredible at Grand Turk. One of the leading aspects of Grand Turk’s scuba diving is the wonderful diversity and density of marine life per site on the coral reefs. Friendly Nassau groupers, garden eels, wrasse, parrotfish, blue tangs, angelfish, yellowtails, trumpetfish, goatfish, spiny lobster, stingrays and spotted eagle rays are common, and it feels as if you’re swimming in an aquarium. The coral is vibrant and healthy, and there’s a tremendous variety of hard and soft corals and sponges to see. Larger marine animals such as stingrays, eagle rays, green turtles, hawksbill turtles and leatherback turtles glide by as well. Nurse sharks and grey reef sharks can also be seen, albeit they’re not quite as common at Grand Turk as they are at French Cay, West Caicos and Providenciales. There’s plenty of easy-to-overlook yet interesting creatures as well, including shrimp, marine snails, colourful worms, crabs, octopus and squids. Soft corals and the edge of the wall. The small island of Grand Turk was known as a top dive paradise long before the introduction of the Grand Turk Cruise Center, and hence the island supports a standalone dive industry. Several of the dive shops and hotels (including the Osprey Beach Hotel, Turks Head Inne, and Grand Turk Inn) are located in the Duke Street area of Cockburn Town. Serious and overnight-stay scuba divers are best served with a local combined dive and accommodation packaged, which may include boat dives, unlimited shore dives, dining and lodging (and complimentary bicycle use for transport!). In any case, contacting a dive company or resort directly will often get you the best rates. We advise doing a bit of online research to get an idea of prices, yet call the local business directly to see if they’ll do better. 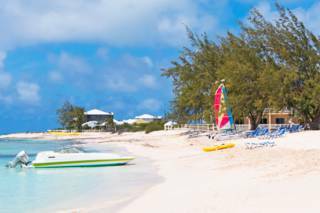 Once your trip essential are reserved, check out our pages on Grand Turk’s beaches and attractions for things to do when you’re not diving. The typical Caribbean cruise ship route stops over at several tropical ports, yet Grand Turk definitely leads the pack in scuba diving and quality of the marine environment. Cruise visitors have the option of booking a “shore excursion” dive package through their cruise line, or independently contacting and reserving a trip with a local dive company. 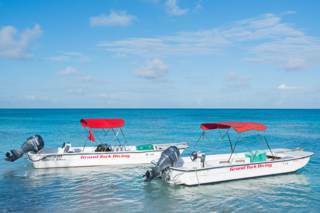 Both of these options will result in dives to the same Grand Turk dive sites, yet if the dive is reserved on your own, you’ll likely be able to either arrange a private or smaller group charter, or save a little off the rate for the higher-density packaged boat tours. All dives should be guided by a professional dive master, which is great if you don’t have a dive buddy or if your skills are a bit rusty. 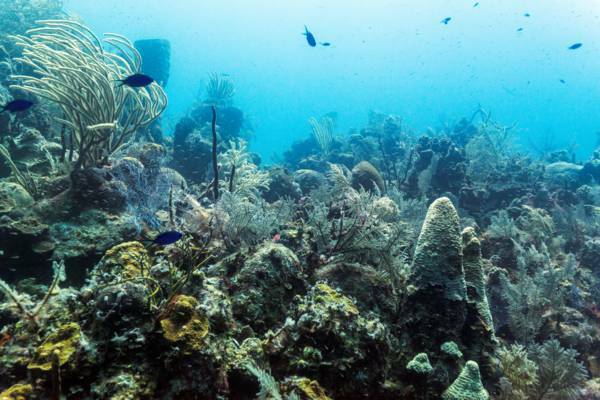 The reefs are teeming with life. 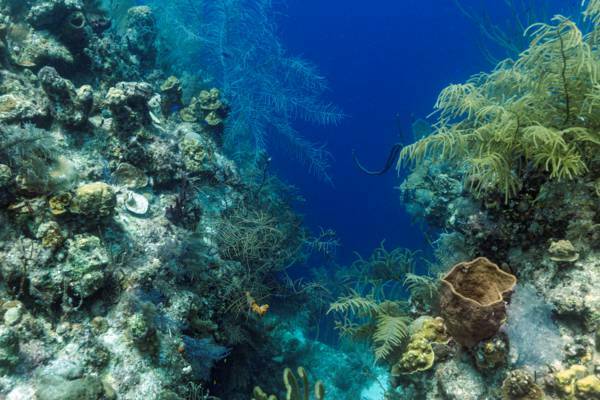 Grand Turk is a convenient place for diving. Nearly all of the popular dive sites are located close off the west coast of Grand Turk in the Columbus Landfall National Park, which includes the beach and waters fronting the Grand Turk Cruise Center and the country’s capital of Cockburn Town. 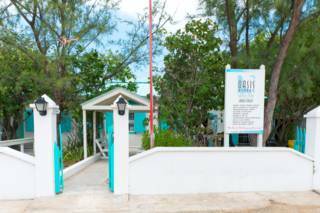 Most of the accommodations and dive operators are located on the beach in the Cockburn Town area and it’s often only a couple minute boat ride out to the common dive sites. For a diving-dedicated vacation, one of the packages offered by a local dive operator will be the most economical way to get in a lot of dives. For the best price, we recommend contacting staff at a local business directly. The main Grand Turk dive companies all offer the full range of recreation dive gear for rent, but quantities may be limited on days when a cruise ship is in port. PADI certified courses up to Advanced Open Water Diver are available. Some of the local companies also offer other water sports, such as kayaking and fishing, and it may be possible to obtain a package price. Dive excursions offered through the cruise lines are convenient as they’re easy to arrange and depart from the cruise center, but groups are large and dive boats can get crowded. If you’d rather dive in a smaller group, consider contacting one of Grand Turk’s dive operators on your own. Most companies provide complimentary shuttle service from the cruise center. If you are a beginner diver (or you don't have much experience), find out what the ratio of divers to divermasters will be. PADI typically recommends a ratio of 8:1 (8 divers to 1 divemaster). 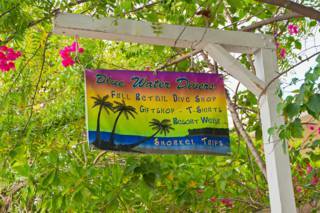 Blue Water Divers is the oldest operating dive shop on Grand Turk and provides one and two tank dives, along with multiple day dive packages. PADI open water certification and other basic dive courses are also offered. The Humpback Dive Shack is a small eco-friendly scuba diving and whale watching tour operator in the heart of Cockburn Town in Grand Turk. This dive shop specializes in small groups and is a great choice for underwater photographers. Last reviewed by an editor on 22 November 2017.